This week’s topic is all about the books I’d love to read with my book club! The book club I’m in right now focuses on YA books, and we’ve read some really great ones! We’ve also read some not to great ones, but I still really enjoyed talking with the girls in my book club about why we hated a specific book. There’s just something about having a mutual “I hated this book” rant with your friends, isn’t there? So today I’m going to talk about some books that I would only want to read with a book club, because at least I’d know for sure I’d have people to vent to if I ended up hating the book. Anything by Gillian Flynn – I read Gone Girl last year and I was really intrigued by it at first. Up until the 2nd half of the book happened and I realized how awful the characters were. I have a really hard time liking a book if I can’t root for a character, and I hated the ending of Gone Girl so much, I don’t even think liking a character would have helped. BUT, I did enjoy ranting about this book with my mother-in-law, who recommended it to me! 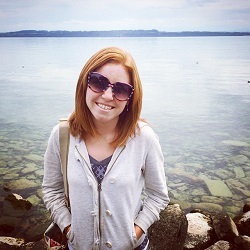 (She also hated it, but she loves Ben Affleck and wanted to see the movie). All that being said, I wouldn’t mind reading another of Flynn’s novels IF it was a group read with other people who might not like her writing style either. 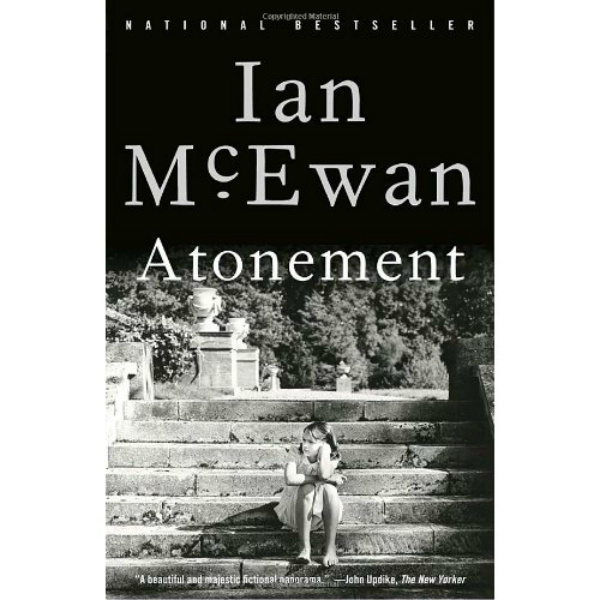 Atonement by Ian McEwan – I’ve seen the movie version of this book, and despite the fact that I love James McAvoy and Kiera Knightley, I really did not like the movie. I think it was the ending…and I don’t know how closely the book follows the movie, but I’m assuming at least that part remains the same. I wouldn’t mind reading this book in a book club, because I’m sure there are tons of deep things to talk about. The Bell Jar by Sylvia Plath – Do you ever have those books that just scare you to read? That’s how I feel about The Bell Jar. I have NO idea why, but something about the book terrifies me. I think I could give it a chance if I read it with some friends, but I don’t really feel like reading it on my own. The Catcher in the Rye by J.D. Salinger – I really don’t think I’d like this book. I don’t really know much about it, but based on all the references to it that I’ve seen in other books, I don’t think this is a book I’d like too much. I would only be able to get through it if there were other people reading it with me. Anything by Cormac McCarthy – I’ve seen both film versions of No Country for Old Men and The Road and I hated them both. No Country for Old Men is probably my most hated film ever. I hate it even more because it won Best Picture. And Javier Bardem is officially the creepiest villain ever–he was pretty creepy in Skyfall, too. So I have no intention of reading any of McCarthy’s books, but if I somehow found my way into a book club that really wanted to read one of his novels, I’d sacrifice give it a try. I did read any interview of McCarthy once where he criticized books that didn’t deal with death in some way, and I respected that a lot, because whenever I find myself writing a story, death always weaves its way into it (but never in that dark and depressing way). Outlander by Diana Gabaldon – I know this book is hugely popular right now, but I have a feeling it’s too much like Game of Thrones. Am I incorrect in thinking that? I gave the first three Game of Thrones books a chance and I just couldn’t do it anymore. Those graphic medieval tales haunt me. I’d only want to read another one if I could vent about my frustrations with other people. Wuthering Heights by Emily Brontë – Remember when I said I can’t enjoy a book if I don’t like any characters? Wuthering Heights is the closest I have come to disproving that theory (close, but I still don’t like it). I actually read this book last January as a read-a-long with some fellow bloggers, and it was nice to rant about what we hated about this book, but I also learned that there were some things I did enjoy from it. The only redeeming things about this book, for me, are Brontë’s captivating writing style, and the fact that I learned HUGE morals from all these characters’ faults. Hmm…I seem to notice a theme with all of these books: they’re kind of dark and depressing, aren’t they? It’s always interesting to explore books you have strong opinions about! Your books are quite dark and depressing but they would be fascinating to discuss! I agree–I seem to really enjoy talking about books that I didn’t like to read. And sometimes, talking through my frustrations helps me to appreciate the book more than if I didn’t talk about it at all. I really want to read Gone Girl! I also want to read Outlander (also known as Cross Stitch over here). Apparently it doesn’t start off very well, but once you meet Jamie it’s all worth it. Out of all of these books, I think I am most likely to give Outlander a try (I’ve already read Wuthering Heights twice and Gone Girl, so those don’t count). I hope you enjoy Gone Girl when you end up reading it. I wasn’t a fan but I can understand why other people would like it. Ever since studying some of Sylvia Plath’s poems in school I have wanted to read the Bell Jar but I’ve been putting it off for the same reason as you! To read this book and know the character mental problems are a reflection of the authors is really scary and confronting! It be an amazing book to sit down and discuss. Also I’ve only read the first Outlander book but I really liked it (it’s the second one I couldn’t get into). Yes, exactly–when a book reflects dark aspects about the author’s life, a big part of me doesn’t want to read it. Maybe I’m afraid of feeling too much? I don’t know. Maybe years from now when I’m older I’ll give it a read. Yeah same I’m sure I’ll eventually get to it but for now the whole idea is a bit daunting. Thank you for confirming this for me! “Feels” is the best way I can describe my reaction to watching the movie, so I can only imagine how bad my heart would hurt if I read the book. One day, If I’m in the mood for that level of devastation, I’ll consider reading this one. What a great list! Are you going to try reading any of them soon? I would really love to read anything by Gillian Flynn or Cormac McCarthy because I haven’t read any of their work. 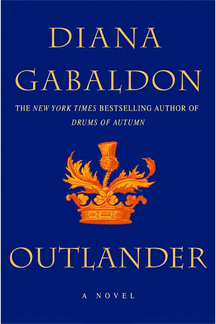 I really enjoyed Outlander, but I probably won’t read anything else in the series. I don’t have plans to read any of these books in the near future. Most of these books I would only want to read in a group, except for Outlander and maybe Atonement. I hope you enjoy any of Flynn’s and McCarthy’s books. I respect their creativity and powerful writing voices, but I don’t think they’re my type of books. Yay! I’m not alone :) Thanks for sharing your list! I hated the movie Atonement too. I also agree that sometimes having other people to rant to/with about a book, makes it more enjoyable. That sounds horrible, but if you hate a book and then don’t get a chance to talk it out then it sort of makes it worse. This is a great book and I haven’t read Outlander either. Not being able to talk about a book that you hate does make it worse, doesn’t it? But when I read a book I don’t like with my book club, I don’t seem to mind as much, and in the past when that’s happened, I’ve really enjoyed the discussion afterwards. I’ve read both Outlander and Game of Thrones and I didn’t find them very similar. GoT is much grimmer than Outlander, and GRRM has a habit of killing off his characters in particularly gruesome ways. Gabaldon’s series is set in a fairly violent historical past, but there isn’t as much gratuitous violence. There is one section in the first book that is pretty stomach churning, but that is in part because she has done such a good job investing the reader in her characters. Outlander does seem to be a divisive book – as is GoT, so they definitely have that in common. 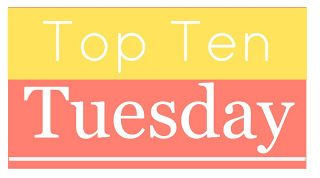 My Top Ten Tuesday is here. My book club read Catcher in the Rye recently. I couldn’t finish. I read Wuthering Heights a long time ago. I only remember I didn’t like it. Sounds like we have similar tastes :) I really don’t think I ever want to read Catcher in the Rye. Wuthering Heights I gave a second chance last year, and my feelings about it didn’t change, but I did discover some things about the novel that I appreciated. The Wuthering Heights read-along was fun. Thank you for hosting it! 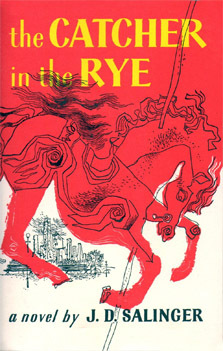 I loved Catcher in the Rye when I was a kid, but I wonder whether I would still like it now. I’ve been meaning to re-read it. I’m a huge Outlander fan, and I don’t think it’s at all similar to Game of Thrones, other than being a long series with really big books. (I’m a fan of the Game of Thrones series too, but not quite as much). Outlander has some difficult, upsetting events, but above everything it’s a love story with really wonderful characters and a fascinating historical setting. (See, I said I was a fan!) I actually really loved Atonement and The Road, but I remember hating Catcher in the Rye (although I read it in high school, so I should maybe give it another chance with grown-up eyes). I agree in general that reading a book that you hate is much more tolerable when you have a book group to vent with! I’ve been getting some positive Outlander comments so I definitely think I’ll be giving it a try :) I also might be open to reading Atonement one day, but I’m not so sure about The Road. My dad enjoyed the book, but I really did not like the movie so I don’t know if I’ll ever read it. I’m fairly certain you can’t dance to A Clockwork Orange. Or at least I can’t. Outlander is good but looooooong. I read the first one after hearing the author based the male character on a Doctor Who companion. :) I assumed as much, but it didn’t hurt to ask. Is Outlander longer than GoT? Ugh! It kills me that you didn’t like Atonement! It’s one of my all time favorites. Super depressing, yes, but I just love it. I read the book a while back (after seeing the movie) and enjoyed it, too. The movie does stay pretty true. On the other hand, I’m glad to have you validate my feelings that No Country for Old Men is THE WORST. Hate it. I’ve attempted on several occasions for my husband’s sake, but I just can’t make it through without wanting to tear my hair out. Lack of musical score and general awfulness all come together to give us one of the worst movies ever. How did it win Best Picture?! I don’t even understand. I was so upset when that happened. A lot of people have been commenting about Atonement and I think I may give it a chance on day if I'm in the mood. I think my mom even owns the audiobook version. Maybe it will help you going in knowing that the end is sad. If you know what to expect, maybe you can just focus on the beauty of the writing and the humanity instead. I think that is a very good theory :) I am really tempted to read Atonement now after all of the comments I’ve gotten about it. 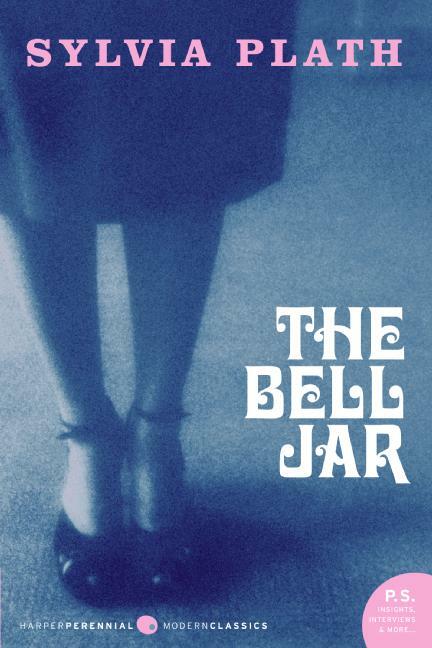 I’m actually reading The Bell Jar right now, and liking it pretty well so far. I do think it would probably make a good book club read. Glad you’re liking it :) I’m sure there are endless things to discuss about this novel. Such good choices! I have Atonement somewhere, and I need to read it soon. I feel like a failure of an adult for never having read it. The Catcher in the Rye is actually really good. I thought it was sad and funny at the same time, and I’d definitely recommend it. I think there are copies with discussion questions in the back, too. That could help. I liked The Road. Yes, it was dark and heavy, but I read it in one sitting. However, it’s not for everyone. 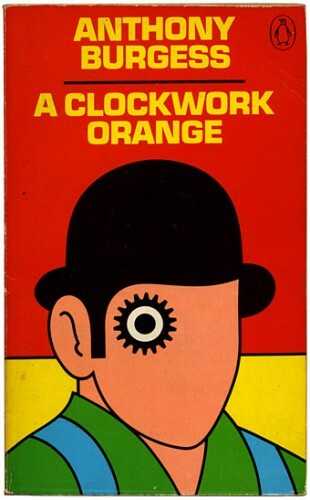 A Clockwork Orange on the other hand, I’m with you all the way! A bad book! You sure had an interesting take on the book club theme. I enjoyed the post. Thanks! 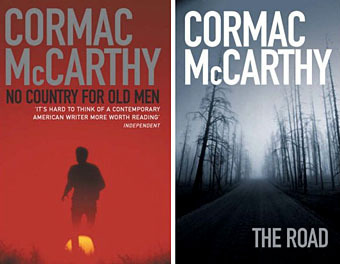 I agree–I don’t think Cormac McCarthy is a bad writer or anything; on the contrary, I respect him as an author. I just don’t think his books are for me. 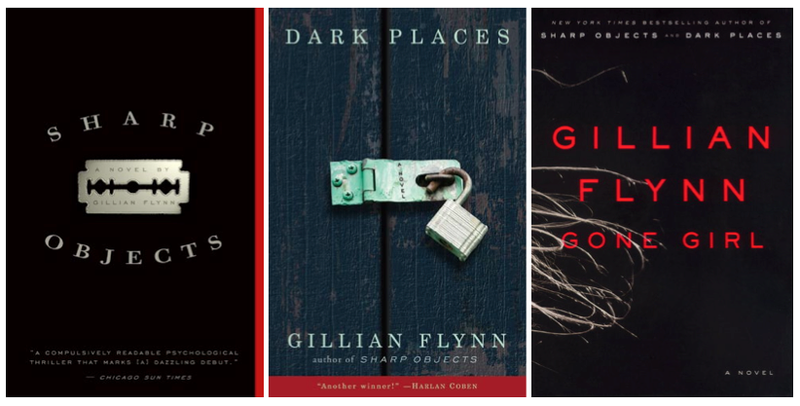 I loved Gone Girl by Gillian Flynn, I still need to read Dark Places and Sharp Objects though! Thanks!! Since you loved Gone Girl I’m sure you’ll enjoy Flynn’s other novels as well. I started Sharp Objects but couldn’t finish it, but I also didn’t like Gone Girl so I don’t think Flynn’s books are for me.